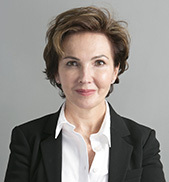 Dr Edvina Muksinovic Principal Dentist GDC Number 73919 Edvina is a very experienced Dental Surgeon with a special interest in prosthetic dentistry, cosmetics, sedation and facial aesthetics. She holds the Advanced Certificate in Conscious Sedation from University College of London and the Implant Certificate from University of Central Lancashire. She loves the variety of dental work in general practice and does her utmost to ensure that patients are as relaxed and comfortable as possible. 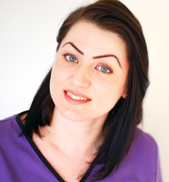 Edvina is committed to postgraduate education and strives to ensure that all her patients benefit from the most up to date techniques in dentistry. Outside of work Edvina enjoys running, skiing, de-cluttering and especially weekends, bank holidays and holidays in general! Dr. Chavdar Nikolov Associate Dentist GDC Number 197116Dr Chavdar is a dentist who has a degree from the Medical University Sofia.He is passionate about dentistry and best patient care, this is the reason he took part in numerous post graduate courses in the area of Aesthetic dentistry, Endodontics, Periodontics and has a certificate in Evidence Based Implant and Restorative Dentistry from British Academy of Implant and Restorative Dentistry.At the moment he is undertaking another course in the area of Periodontology provided by Faculty of General Dental Practice UK. The challenge to provide dentistry without boundaries is what drives him and is the base of his vision about the profession and best patient’s care. Outside work he along with his wife spends most of his spare time at the moment with his little boy. He also enjoys outdoor activities, playing the piano and spending time with friends and family! George Koumas Dental Hygienist / Dental Therapist GDC Number 141633GradDip in Dental Hygiene and Dental Therapy George qualified from the University of Leeds in 2007. 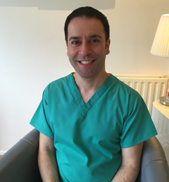 George is experienced in working with nervous patients and has a very reassuring chair-side manner. 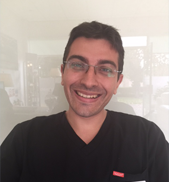 He is gentle yet thorough and is dedicated in educating and motivating our patients and treating dental diseases. George has given advice on all aspects of dental health from advanced gum disease, maintenance scaling, oral-hygiene regimes and diet advice. In his spare time George enjoys travelling and Yoga classes. Karen Barrett Dental Hygienist GDC Number 6034From 2002 Karen holds Diploma in Dental Hygiene, which she obtained at Birmingham University. Preventative dentistry and non-surgical periodontal treatments are Karen’s particular interest and she is always striving to offer her patients the very best in these fields. She takes pride in being part of the team at Cherwell Heights Dental Care as they provide a caring, relaxed and friendly atmosphere for staff and patients. Karen joined the team in 2010 and works part time whilst caring for her young family. Ilka Georgieva Dental Nurse GDC Number 235962Ilka qualified as a Dental Nurse in 2011. 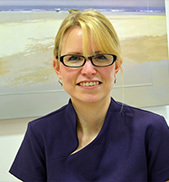 She has extensive experience of working in Sedation, Orthodontic and Oral Surgery clinics in London. She joined Cherwell Heights Dental Care in 2013 and has been devoted member of our team always eager and happy to help with reception and patients enquiries. Her welcoming and bubbly personality is appreciated by all.